One of the fun things about NaBloPoMo, for me at least, is that the necessity to post something every.single.day encourages me to try out some new memes. 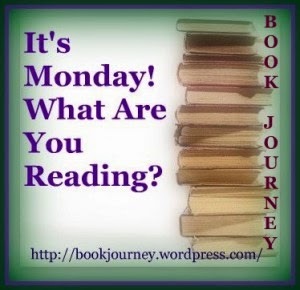 I've been reading Sheila's blog over at Book Journey for quite some time and thought I'd jump in with her "It's Monday! What Are You Reading?" I think this will be one that I continue past November, but sometimes, due to how they days fall in the month, I may have to combine it with my monthly wrap up, but oh well! So, I'm sort of in a maelstrom of busyness right now. I'm one of the room parents for my daughter's kindergarten class, so I have some things to do with that. And I'm starting a Daisy/Brownie Girl Scout troop for her--did I mention that I was never a Girl Scout? I have no clue what I'm doing, but I'm just praying that it all turns out! Thank goodness for Pinterest! 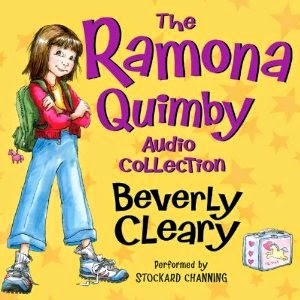 My daughter LOVES Ramona and she's having fun re-listening to these stories. Stockard Channing is a pretty good narrator, but it drives me crazy that it is so obvious she's not from Oregon. She doesn't even pronounce the state's name correctly. We previously listened to the Henry Huggins collection, which was narrated by Neil Patrick Harris--who is probably my favorite narrator ever. Poor Stockard Channing had a tough job following him! I can't believe that I hadn't read this book before! Since my son is in the car with me, I do have to be careful about my selections and this one is mostly safe. 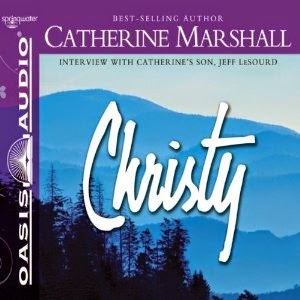 Kellie Martin is the narrator and she's quite good. So, that's what is going on this week. We'll see how much progress I've made next Monday!